Let’s face it, planning that perfect vacation takes work. Determining where to go, when to go, and finding that “have-it-all” home, all within your budget, takes a great deal of effort. 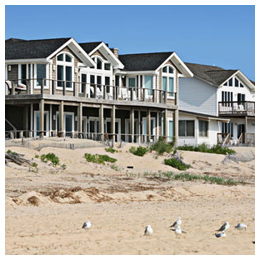 Here are some tips to consider for renting an Outer Banks vacation home. Both have upsides and downsides. Most of us begin our vacation planning soon after the holidays are over, but others start even earlier than that. If you’re planning to vacation to the Outer Banks during peak season, Memorial Day-Labor Day, start your search for a rental as early as possible. Last-minute discounts and specials often reward those with a spur-of-the-moment lifestyle. This option is not for everyone, but as peak season approaches, more agents and owners are scrambling to book houses. This gives vacationers the upper hand, and the better chance of finding rate reductions & discounts. #2. Duck, Nags Head, or Hatteras Island? Each town retains its own individual character, this is what makes the Outer Banks unique. 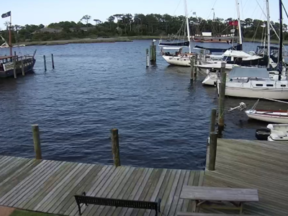 To the north, Duck and Southern Shores are the newest communities on the Outer Banks, populated by services of all kinds and beautiful vacation homes. The towns of Kitty Hawk, Kill Devil Hills, Nags Head are more populated, especially in the summer, with plenty of locally owned restaurants, bars and beach shops. And then to the south, on Hatteras Island, a bevy of quaint, neatly isolated towns sit nestled right along the ocean. Rodanthe, Waves, Salvo, Avon, Buxton, Frisco, Hatteras: one road leads to them all. You’ll find everything from Oceanfront, Semi-Oceanfront, Oceanside, Soundside, Soundfront, Beach Road, Between the Roads, Westside, Dunes, 4×4. Make sure you contact your vacation rental specialist, they will clearly explain where each vacation rental is located. Anytime between March and October is a great time to visit the Outer Banks. 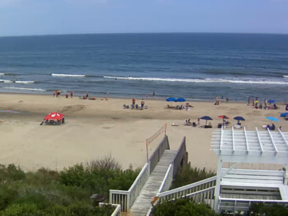 Mid-June through Mid-August will always be the peak season on the Outer Banks, but even during the summer rush, the Outer Banks doesn’t have the crowded feel of some other beach resort destinations. Be as a flexible as possible, and be sure to understand when rates change. Take the whole family into account, make sure there’s something for everyone. As you narrow down your selection, try to find at least one amenity or feature to delight each member of your party, including yourself. Close to beaches with lifeguards might be important for families with young children, while teens might be interested in nearby amusements and attractions. Outer Banks leash laws vary from town to town. Before your Outer Banks vacation, and make sure the home is approved as a pet friendly vacation home. Consider a Sunday-to-Sunday vacation instead of the typical Saturday arrival day. Benefits include less traffic and possibly early check-in times. Many Outer Banks vacation rental companies have a large number Sunday check-in rentals to choose from. Hurricane season typically starts in August and ends in early November, but the definition of hurricane season is June 1st-November 30th. While the event of a hurricane affecting your Outer Banks vacation is unlikely, there is always a small chance that severe weather could coincide with your vacation plans, so be sure you know what to do and where to go to stay safe. In the event of a hurricane or other unforeseen severe weather, consider purchasing travel insurance which could cover trip cancellation or trip interruption. Peak season rule of thumb: to avoid traffic and long delays, try to arrive on the Outer Banks by 9:00am. The worst traffic is typically Friday and Saturday afternoon. Pack up the night before, leave as early as possible, and plan an activity for your arrival day. Some vacationers even travel overnight, arrive early in the morning, have breakfast, and begin your vacation! A day at the beach is a good way to start before check-in, which is typically 3pm. Here is a list of 25 Things to Do and a handy list of Free Things to Do. Traveling is exciting, but is dependent on a multitude of details. You have a thousand things to remember. Overlooking even one thing can mean hassles and frustrations. If you are leaving your home to go on vacation, here is a handy vacation checklist to help you get ready.